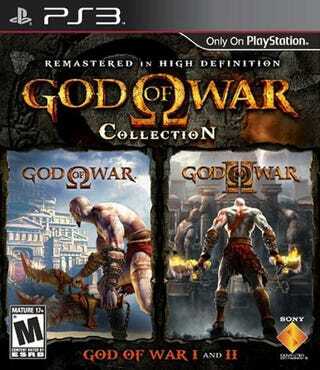 Here's the cover to the remastered editions of God of War, due later this year on PS3. Are you aware that these are two God of War games? Really, Sony, four God of War logos might be a bit much.